Above: Agia Paraskevi- with Panagiotis and Haralambos. I am on the right. 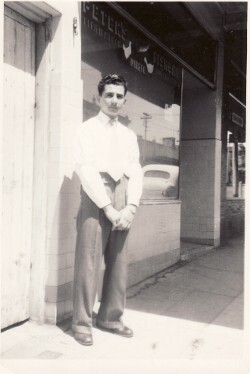 Above: Outside Panagiotis Dalaveras' fish shop in Toorak, Melbourne, I worked here for two years. 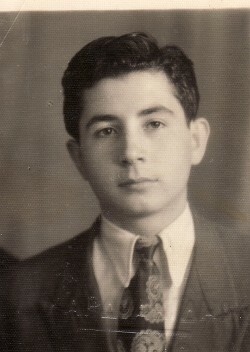 When Panagiotis retired, i worked the shop for another ten years. 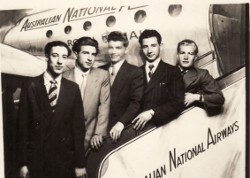 Above Right: With horianoi. 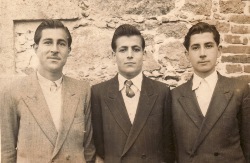 L-R: Stavros Comninakis, unknown, Apostolos Giannikellis and me. Above: Earlwood Beach, Melbourne. 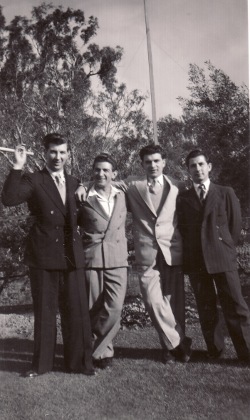 L-R: Odysseas Stavrinos, myself, Nikolaos Hatzistavrakis, Mihalis Gelas and Stavros Gelas. Above Right: Luna Park, Melbourne. 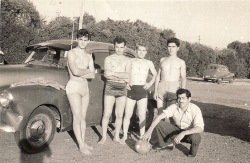 L-R: Dimitrios Sevastos, unknown, Marinos, myself and Nikolaos Hatzistavrakis. 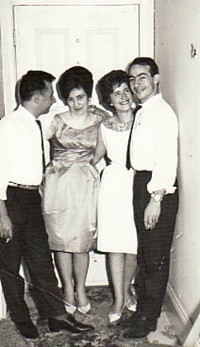 Above: With my wife, Carmen, and Maria Kordera and Georgios Stavrinos. It is and Georgios and Maria's engagement. Above Right: At the panygiri of Agia Haralambos. 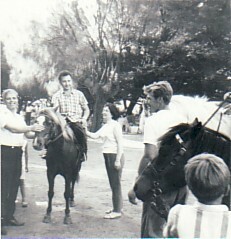 I am riding the decorated horse, while next to me is my wife, Carmen.